“Sweet soca music’’ or “groovy soca” has arrested my interest, as a cultural enthusiast, for a long time. I have stated, in a previously published commentary, that this brand of music is the future of Soca. In this paper, I will endeavor to highlight the people and the songs that, in my view, were transformational and important in the development of the sweet Soca music brand. In attempting to do so I am satisfied that there will be sweet, Soca songs somewhere that I have not heard (which is highly unlikely); or, songs I simply overlooked, because there are so many. Therefore, this paper cannot pretend to be exhaustive. The focus is just on the major hits, artistes and producers who flourished after the emergence of the two strands of Soca — primarily distinguishable by their speed or beats per minute. To be sure, there was no such distinction when soca inventor Ras Shorty I and the early pioneers, such as Maestro and Merchant, made music in the formative years of soca. The word “groovy’’ had not yet been coined but, certainly, there was groove in their Soca. However, a convenient starting point to begin a discourse on what is known today as “groovy soca” is with the “sugar voice” of Timothy Watkins, Jr, who is better known to the world as Baron. It is my respectful view that, just as the Mighty Sparrow concentrated on winning Calypso Monarch titles with witty lyrics, appropriate melodies, and crafty stage appearances; Lord Kitchener with his legendary melodies to win Panorama and Road March titles; and Chalkdust claimed several Calypso Monarch crowns with awe-inspiring and creative lyrical content; so, too, Baron — consciously or unconsciously — focused on music to make people dance. It’s very much like “Lovers’ Rock” in reggae music. Baron’s sweet soca music is essentially music for lovers in the party. In 1984, Baron’s “The Jammer” and “Feeling It,” in my view, firmly established and set the bar for sweet soca music. I hold that “Feeling It’’ is a practical definition of what sweet soca music really is. “The Jammer’’ and “Feeling It’’ rank alongside the greatest soca hits of all time; they play in the dancehalls today, as if they were sung yesterday. Baron then gave us “Doh Rock It So’’ in 1986; “Socaman” and “Melosian Rhapsody” in 1988; “We havin’ a Party” and “Somebody” in 1989; and in 2001, it was “In a Party with My Baby.” These constitute some of the greatest hits in the sweet soca music brand to ever play in the dancehall. In my respectful view, Baron is the godfather of the sweet soca music brand. His voice is an instrument in itself and the apparent effortless and easy style of singing soothes the soul. Of course, Winsford Devines deserves all the credits for most — if not all — of these compositions; while Leston Paul’s musical genius ensured that there was musical justice to the compositions and the singing. Now, it does not mean that other artistes were not singing sweet soca music. It is just that I find Baron to be most dominant and consistent, in terms of putting out hit songs. Lord Kitchener’s 1978 “Sugar Bum Bum” stands out for special mention. That song is Kitchener’s most commercially successful song. It is an ultimate groove. The lyrics make Caribbean men salivate and smack their lips as it teases the sexual taste buds over a haunting melody. But, it’s not only Trinidad that produced sweet soca songs. St Vincent and the Grenadines, in my view, played a critical role as well. Winston “Soso” Lockhart was one of the early masters. A real charmer. In 1985, he gave us, “I Doh Mind” and “How Some Men Love Their Women.” Those are classic sweet soca music. As a child whenever I heard the instrumentation, the words, “in the heat of the jam, she want to go home,” will escape my lips. Soso’s songs frolicked and serenaded women and “big them up” in a special way. But, most importantly, they encourage the opposite sexes to engage as dancing partners. And, that’s the real purpose of the dancehall. “Ah Feel to Party” in 1986 and “Rude Girl Posse’’ are themselves tasty sweet soca songs. They will never die. Soso, in my opinion, has never been given the respect and adulation he deserves. He is a soca master in his own right. Maybe, he is overshadowed somewhat by the other outstanding Vincentian Alston “Beckett’’ Cyrus. Beckett is well known for his upbeat soca but he also has made a solid contribution to the sweet soca brand. Beckett’s 1986 “Stranger Man’’; 1999 “Teaser,” “Small Pin” and “Gal Ah Rush Me,” rocked dancehalls throughout the world, and remain a significant contribution to the sweet Soca brand. The Vincentians have more than held their own in making their contribution to the brand. To enable these singers to do so, they were ably assisted by another Vincentian, the musical maestro Frankie Macintosh. He did the arrangements for Beckett and Soso, and Macintosh is globally renowned for his work with other artistes throughout the soca world. If Baron is the godfather of the brand, Edwin Yearwood with his band Krosfyah, is the anointed prince. It is my humble view, that Edwin Yearwood — more than any other soca artiste — is responsible for bridging the soca “old school” to the “new school’’. In a real sense, he was the pioneer in creating the modern groove soca. In 1994 Krosfyah’s debut album, “Ultimate Party” took the world by storm. The hit song, “Pump Me Up,” had every soca fan in the world singing, “Oh gawsh.” As I understand it, that album went on to sell over 300,000 units to date; the most sales by any soca album. “Pump Me Up” ushered in a freshness, a youthfulness and a coolness to the sweet soca brand. “Pump Me Up,” along with “She Body in Control,” had soca fans dancing all over the world. “Ultimate Party” is arguably a watershed point in the history of soca music. Edwin and Krosfyah followed up with “Wet Me,” in 1996; “Oil Pumping” in 1998; and, in 1999, “Forkin.” Edwin then wrote “All Aboard” for Surface band in Trinidad; it was sung by the vocally gifted Tony Prescott. Edwin has delivered other great hits like “Oba” and “Sak Pase.” But, this paper only concerns itself with the grooves. Barbados, like St Vincent and Trinidad, boasts its own musical genius in Nicholas Brancker, who worked along with Edwin and Krosfyah to create this distinctively sweet sound. Square One — with Andy Armstrong and Allison Hinds, Biggie Irie, Peter Ram and others — produced arguably the best groove in that period. “Turn it Around’’ and “Aye, Aye, Aye” were among the songs in the forefront of that Bajan revolution. Rupee, too, had a massive influence and carried the Bajan invasion for a while. His 2002 smash hit, “Tempted to Touch,” and in 2004 “What Happens in the Party,” controlled the dancehall for a considerable time. The Vincentians, as we have noticed, were never far away from the forefront. Kevin Lyttle’s “Turn Me On” in 2004, with its ballad flavor, was a monstrous hit that went platinum. Other Vincentians like Bomani, whose 2006 hit song was called “Wet;” Jamesy P’s 2005, “Nookie;” and Luta’s “Tight Spot” in 2010, are more than worthy contributions to the groovy soca brand. It is fair to say that the Trinidadians came to the “party” late in this surge of groovy music. In the early 1990s and throughout that decade, the Trinidadian focus was on the “power” Soca brand. On the back of Superblue’s jump-and-wave craze, Trinidadians were all about high energy and pace. Of course, groove songs were sung in T&T. However, I will submit that it will be fair to say the power soca music was most prevalent. Through the 1990s Superblue and Ronnie McIntosh gave the world some exhilarating and pulsating soca music. That, no doubt, was influenced by the Power Soca Monarch competition which started in 1993; the groovy competition emerged 10 years later in 2005. This, in a sense, is indicative of the late emergence to prominence of groovy music in Trinidad. To my mind, Kerwin Dubois would have to take a lot of credit in bringing groovy soca to the fore in Trinidad. This songwriter, singer and producer extraordinaire, through his work, has made an immense contribution to the groove brand of soca. Whether as a singer, songwriter or producer he was involved in some way, or the other, with the groovy breakout songs in Trinidad. Well, no script is complete without an assessment of the contribution of the premier soca superstar, Machel Montano HD. Machel has always produced good grooves, but one gets the impression that it was not his focus; it was more like salad rather than the main course. 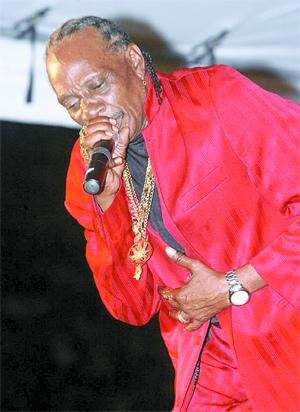 His central focus appeared to have been the power soca brand. In 2006, Machel did “One More Time,” which was epic before E.P.I.C. His 2010 hit, “Bend Over,” did well in the dancehall. However, in my view, it was the 2012 smash hit, “Mr Fete,” that signaled that Machel really came on the groove train. He won the groovy monarch that year. Then, in 2013, Machel gave us “Fog,” which was an excellent composition, to go along with its sugary taste. 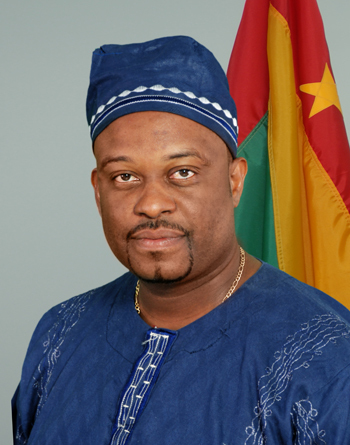 And, in 2014, “She Ready’’, “Happiest Man Alive,” and “Life of the Party,” proved that Machel was not flirting with the groove brand. He simply stamped his authority on the brand. With the combined talents of Machel and Kerwin, and others like Shurwayne Winchester, Faye-ann Lyons and Benjai, the Trinidadians wrestled from the Bajans the title as the island with the sweetest taste in groove. Although it must be said, that the Bajans are sounding sweeter than ever, with their 2015 productions. The outstanding Antiguan soca band Burning Flames, with the soca star Onyan, has produced some fabulous hits over the years. The band has made a more than significant contribution to the sweet Soca brand. 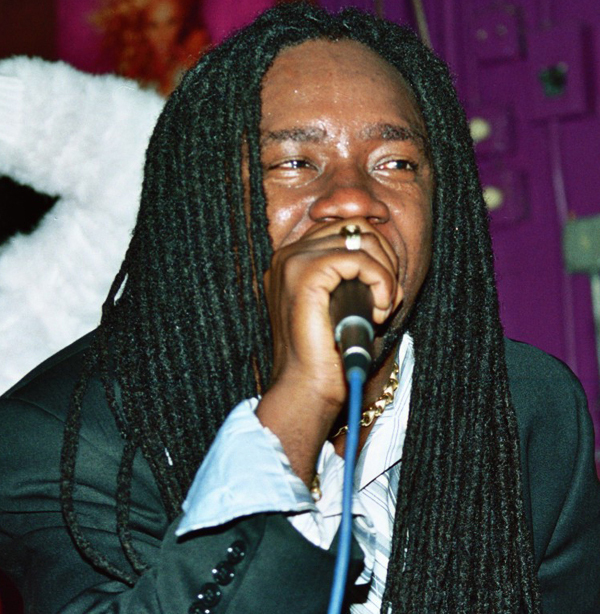 The discography of Burning Flames and staples in the soca dancehalls worldwide include “Workey Workey’’ of 1991; “If You Get What You Want Tonight,” “Juantanamera,” 1994; “Swing Engine,” 2001; and “Kick een She Back Door,” 2012. Burning Flames music always has that unique flavor; it stands out and sounds differently from the songs in the more southern Caribbean. But, it is just as sweet and provides satisfying food for the rotation of the waist. Grenada, too, has made a contribution to the sweet groovy soca brand. Flying Cloud’s 1992 “Raise Yuh Hand” was for years the flag-bearer of groovy soca from Grenada. Carriacou-born Pupa Leendi then gave the world “Rum Oye” in 2008 which had every beer-drinker in the Caribbean and the Diaspora singing along. In the case of Flying Cloud and Scholar, it was the Trinidadian Leston Paul at work on their two songs. It is worthy to note that Grenadian Randy Isaac has made a telling contribution, although unable to deliver a genuine Caribbean hit. The same can be said of Shortpree, who has consistently produced top-quality grooves over the last five years or so. There is a noticeable slowing down in the pace of the songs, as more and more artistes sing the grooves rather than power soca. It is significant that this year Trinidad just had Soca Monarch, without any division between groove and power. Music evolves, and it will be interesting to see the evolution of Soca music over the next 5 years. It appears, though, that the grooves are most prominent at this juncture, in the journey of Soca music.